The Wellcome Trust last week confirmed its new open access policy, which will come into force for research articles submitted to journals after the 1st of January 2020. The current Wellcome open access policy continues until then but this policy is worth bearing in mind for future publication plans and grant applications. The Bill & Melinda Gates Foundation also last week agreed to introduce the same policy. Moreover, the policy is broadly in line with the proposed changes to UKRI’s open access policy from 2020 as well as those of other major European funders, which have recently come together as a group called ‘Coalition-S‘ to roll out the new open access policy termed ‘Plan-S’. The various funders are aligning their policies partially to further the movement towards open access as default but also to simplify the policy landscape for researchers. The new policy states that Wellcome-funded researchers can either publish in fully open access journals under the CC BY copyright license OR in subscription (‘hybrid’) journals as long as the journal allows the accepted manuscript to be released on Europe PMC at the point of publication with no embargo period and under a CC BY copyright license. * Open access fees will be covered for fully open access journals but will not be covered for hybrid journals, so it would only be possible to publish in a hybrid journal if it offered a 0-month green open access deposit policy. In addition, there will be no funding provided for non-open access publication fees, such as additional page and colour charges issued by publishers. Wellcome will also introduce the policy that where there are ‘significant’ public health benefits to an article being shared widely and rapidly prior to publication, a pre-print (i.e. the final draft of an article before peer review) should be shared on a pre-print server as soon as possible. Following this, a list of recommended pre-print servers will be announced by Wellcome closer to the start of the new policy, but may well include platforms like BioArxiv, with which some publishers are already working. The policy for UKRI (RCUK) and European Research Council-funded researchers is likely to be more-or-less the same as the above, but there may be slight variations on what green open access repositories are considered acceptable (e.g. in the current RCUK policy, MRC-funded authors, but not others, are required to deposit on Europe PMC). Communication about UKRI policy specifics should be forthcoming next year. Unfortunately many publishers of hybrid journals at the moment impose lengthy embargo periods on both their STM and Humanities journals. Cambridge University Press impose 6-month embargoes for most of their STM journals, as does The Lancet. However, most other Elsevier, Oxford University Press, Taylor & Francis, Wiley and Wolters Kluwer journals offer 12 month embargoes (often up to 24 months for humanities journals). Emerald is a rare publisher that offers a 0-month embargo as standard. Moreover, the copyright license allowed by academic publishers for accepted manuscripts is usually the CC BY-NC-ND, if not the standard “Copyright [publisher], all rights reserved” statement. Under Plan-S, the more liberal CC BY license is required to be applied to accepted manuscripts to enable wider re-use and dissemination of public or charity-funded research. In sum, this may mean, unless publishers change their policies, researchers will be limited to publishing in fully open access journals and a very small handful of policy compliant hybrid journals. As a result, a small group of researchers from various institutions have raised concerns about their academic freedoms being challenged (academic freedom here being defined as researchers not being able to publish in any journal they wish to). However, Plan-S will likely deliver more benefits to researchers than restrictions to academic freedom. (Academic freedom may be more fairly interpreted as the ability to publish what you want, rather than where you want). The primary driver is to make sure funded research gets widely disseminated, particularly into the hands of those that cannot read journals through (expensive) library subscriptions. It is worth noting that some publishers of subscription journals are already compliant with Wellcome’s new conditions, such as the Royal Society, while many researchers already prefer to publish in fully open access journals (such as the PLOS and BioMed Central journals, Nature Communications, Scientific Reports). As an institution, we are signed up to the San Francisco Declaration on Research Assessment (or DORA), which commits us to considering the value of a piece of research not necessarily by where it is published (i.e. based on a journal’s impact factor), but to using a variety of measures of ‘quality’ in assessments, including in promotion and hiring procedures. This is a sector-wide movement, with many UK universities signed up, as well as major international funders like Wellcome Trust, the Bill & Melinda Gates Foundation and UKRI. It is also worth highlighting that assessment panels in the REF are expected not to use a journal’s impact factor or notions of journal prestige in their evaluation of research articles submitted for assessment, and funders’ grant committees are also expected not to use where an article is published as a proxy for quality. Researchers should therefore – in theory – not be disadvantaged by a limitation of journal choice. However, it is recognised there is much work to be done in enacting the DORA principles across the sector. We should also bear in mind that traditional publishers have had a long time to change their policies: the current MRC and Wellcome Trust policies have both been around for over 10 years, yet many publishers still impose non-compliant green open access conditions. Moreover, academic publishers have controlled the mechanisms by which researchers can effectively disseminate their work for decades (also read this more provocative recent Twitter thread). Therefore, it is perhaps unfair – as the signatories of the open letter above have claimed – to claim that funders are limiting academic freedoms through their open access policies. A publisher can make a hybrid journal compliant by simply reducing its embargo period; it is not necessarily the case that journals like the Lancet (owned by Elsevier) or Nature (owned by SpringerNature) need to become fully open access to become compliant with the Plan-S proposal. A journal therefore does not need to necessarily radically alter its business model. In some sense it may be more beneficial for subscription-based journals to follow this route rather than publishers whole-sale turning subscription-based journals into open access ones, since unfunded researchers will continue to be able to publish in them. On the other hand, if publishers make their subscription-based journals open access, they will need to allow some mechanism for unfunded researchers (in the UK as well as around the world) to be able to afford to publish in them either through fee waivers or otherwise. Alternatively, in the long-term we might see more alternative open access models emerge to deal with the expensive business of publishing (see a recent blog post on this here). Platforms that allow free open access publishing are already established (e.g. 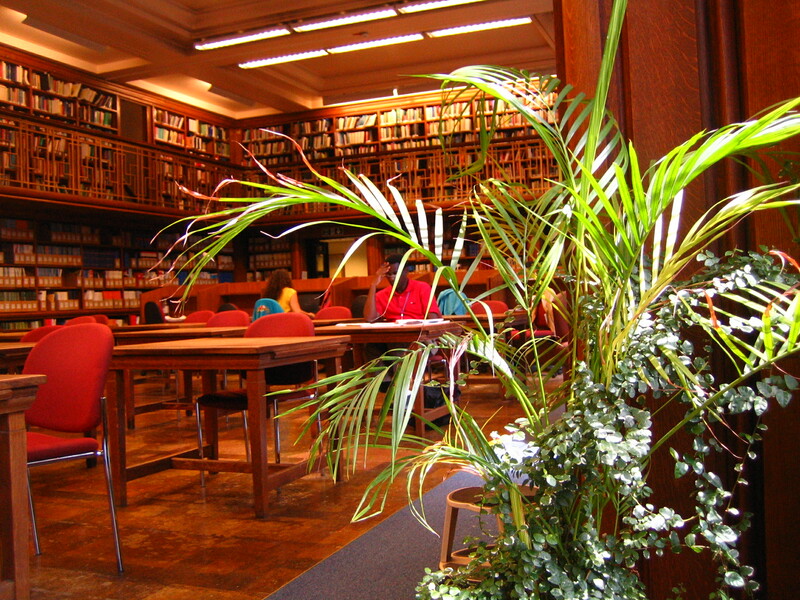 Open Library of Humanities, Gates Open Research, Wellcome Open Research, and various other independent journals), often supported by grants or institutional contributions. It is perhaps time to put the pressure on major commercial publishers to make sure researchers can still publish in all their journals, rather encouraging funders to relax their open access policies. The policies underline the importance they put on ensuring the vital work they fund is not hidden behind paywalls. We can also offer more support to initiatives like DORA and similar ones like the Leiden Manifesto. Paywalls are only profitable to publishers and not to researchers. Publishers have not gone out of business by delivering 0-month embargoes on their journals (see Emerald, The Royal Society, Sage), and so the onus is on the publishers to respond to legitimate concerns of researchers and funders enacted by the new Plan-S policies. The next few months will be intriguing, as we will likely see other organisations join the Coalition-S group of funders, and we will see publishers’ responses to the upcoming policies: will they establish new open access journals, make existing hybrid journals fully open access, or deliver compliant green open access policies for existing hybrid journals? We will continue to monitor the publishing landscape and funders’ policies and communicate any major updates. Do get in contact with the Research Publications Team in the Library & Archives Service if you have any queries about open access policies, and follow our open access Twitter account for ongoing news and views. *A hybrid journal is a journal which publishes a mixture of open access and closed-access articles available only to subscribers (authors have a choice of paying for open access or not), whereas a fully open access journal only publishes open access articles (and usually involves a fee, but not always).